12 gauge shotguns having a barrel length of 18” or greater and cylinder bore. Maximum engagement distance of 10 feet. 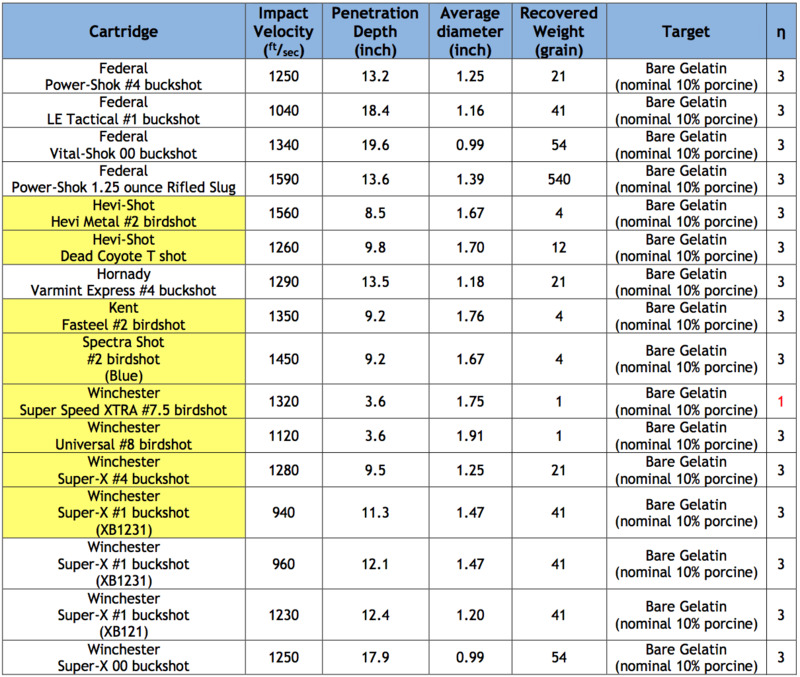 ⇒ Shot sizes smaller than #4 buckshot are poor choices for self-defense.